Rat race for the post of state BJP chief in Tripura has begun. 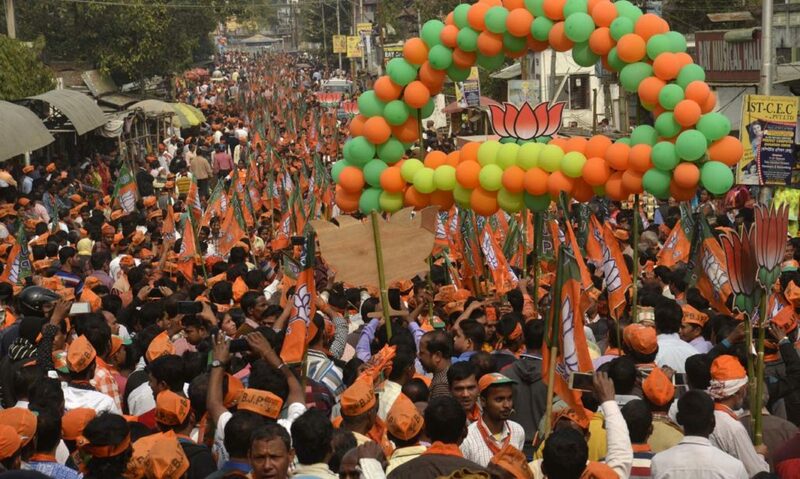 A marathon meeting took place at the BJP headquarters in Agartala on Thursday. The architect of BJP’s spectacular show in last Tripura Assembly election Sunil Deodhar attended the meeting besides other party office-bearers. BJP leaders in Tripura have already started lobbying for the post of state president. However, Chief Minister Biplab Kumar Deb who is also the present president of the party, was absent as he is on a two-day Kerala tour for a by-election campaign there. Sources within the BJP told Northeast Now that several names had cropped up for the party chief’s post. But the front runners are — Subal Bhowmik, Pratima Bhowmik, Rajib Bhattacharjee and Ramprashad Paul. Subal Bhowmik is present vice president of the party in Tripura. But his refusal to contest from Sonamura citing personal problem in the last Assembly polls even after announcement of his name by the party leadership through a press conference may go against his candidature for the coveted post. Later Bhowmik changed his mind under pressure from the party leadership and contested from there. Bhowmik had his eyes on the Banamalipur constituency from where chief minister Biplab Kumar Deb had contested. Following this his relationship with Deb turned sour to some extent. Another contender Rajib Bhattacharjee is the organizing secretary of the party. But according to sources he lacks support within the party in his favour. BJP leader Pratima Bhowmik who gave a tough fight to former CM Manik Sarkar from Dhanpur constituency may be a contender for the post of BJP chief in the state. Pratima is known as a tough woman within the party circle but party workers including a larger section in the women cell are not in her favour any more. Sources told Northeast Now that chances of Ramprashad Paul are bright for the post of state BJP president in Tripura. Paul was the elected party president of Tripura but on request of the then central returning officer Suresh Pujari he resigned immediately after being declared elected with 27 votes. He defeated his nearest competitor by 14 votes. Even after winning the party election Paul sacrificed the post to Biplab Kumar Deb who was the choice of party central leadership. Party sources said this time Paul may be awarded for his sacrifice for the sake of the party. Sources further informed that Paul was offered a portfolio in the cabinet but he reportedly informed BJP top leaders that his personal choice was to work for the party, not to become a minister.